Ozbilici is a photographer for the Associated Press news service. And on Monday, he took pictures of the man who had just shot Russia's ambassador to Turkey, Andrei Karlov. 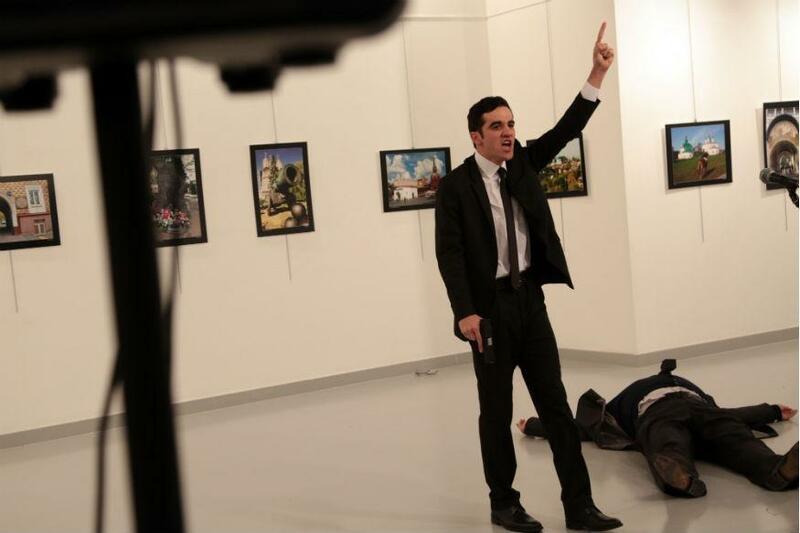 In one of Ozbilici's photos, the shooter is pointing a finger in the air. In his other hand, he is holding the gun by his hip. He is shouting, as Karlov's body lies on the floor near him. Photographers and media experts are calling it "the photo of the year." "I'm a journalist," he said. "I have to do my work. I could run away without making any photos. ... But I wouldn't have a proper answer if people later ask me: 'Why didn't you take pictures?'" Dennis Paquin is the Associated Press' acting director of photography. He said the image shows how often photographers face real risks. Dangerous situations can come up even in quiet places like an art gallery. "The event seemed routine," he wrote in an Associated Press story. After the gunshots -- "at least eight of them," Ozbilici recalled -- he found a safe space behind a wall. There, he continued taking photos. Many people have written about Ozbilici's photos and his work. One magazine editor called him "extraordinarily brave." On Tuesday night, Ozbilici wrote on Twitter: "Andrei Karlov, good man, rest in peace. ... Thanks God ... I'm alive." The official China News Service said the workers were armed with axes, slingshots and rocks. They lost their way in the desert and died of thirst. The annual photo exhibition is about to open. His pictures are on display at the art gallery. 1.The shooter has been identified as Mevlut Mert Altintas, a 22-year-old police officer. 2.On Tuesday night, Ozbilici wrote on Twitter: "Andrei Karlov, good man, rest in peace. ... Thanks God ... I'm alive." May the martyrs rest in peace!